The family of Orthomyxoviridae contains three genera: Influenzavirus A, B; Influenzavirus C; and "Thogotolike viruses." 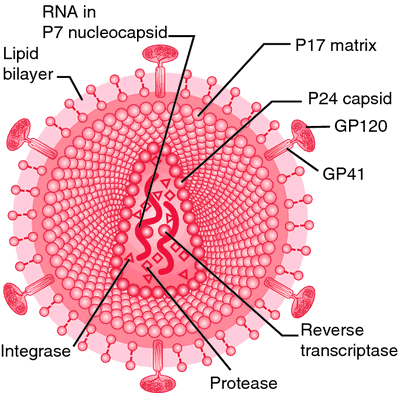 Each type of virus has a stable nucleoprotein group antigen common to all strains of the type, but distinct from that of the other type; the genome is negative sense single-stranded RNA in 6-8 segments; each also has a mosaic of surface antigens (hemagglutinin and neuraminidase) that characterize the strains and that are subject to variations of two kinds: 1) a rather continual drift that occurs independently within the hemagglutinin and neuraminidase antigens; 2) after a period of years, a sudden shift (notably in type A virus of human origin) to a different hemagglutinin or neuraminidase antigen. 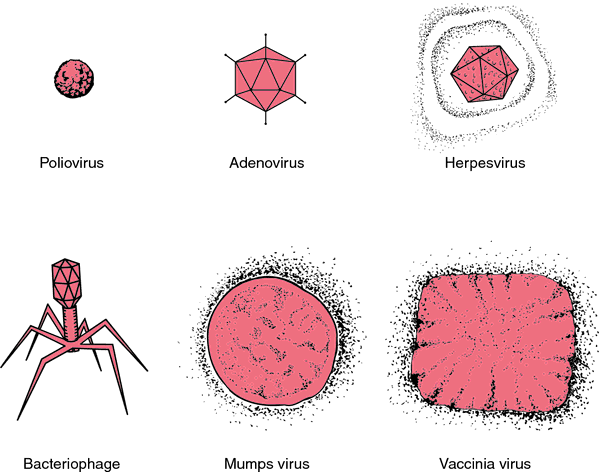 The sudden major shifts are the basis of subdivisions of type A virus of human origin, which occur following infection of the animal host with two different strains simultaneously resulting in a hybrid virus. Strain notations indicate type, geographic origin, year of isolation, and, in the case of type A strains, the characterizing subtypes of hemagglutinin and neuraminidase antigens (for example, A/Hong Kong/1/68 (H3 N2); B/Hong Kong/5/72). Health care providers also are reminded to consider novel influenza virus infections in persons with influenza-like illness and swine or poultry exposure, or with severe acute respiratory infection after travel to areas where avian influenza viruses have been detected. We used unconditional logistic regression or exact logistic regression to estimate the AF of influenza-associated hospitalizations and outpatient consultations by comparing the influenza virus detection rate among patients with ILI, SARI, or SCRI with that among controls. The findings from this study, coupled with the human tissue observations in the lab, suggest that an aerosolized version of the antibody, administered intranasally, could help the body clear the influenza virus. The HA positive samples were detected through Avian Influenza Virus (AIV) Antigen Rapid Test Kit, manufactured by ANIGEN, animal Genetics, Inc, for differentiation between AI and ND viruses. Due to the viral etiology, there is no specific treatment for influenza virus infection in seals. They showed that avian H9N2 influenza virus subtype isolated from outbreaks in broiler farms can infect dogs and the affected animals shed the virus in the feces and nasal discharges. Diagnostic tests are frequently evaluated and developed for improved sensitivity and reliability, because the influenza virus is constantly evolving. While it is important to focus efforts on combating the occasional appearance in humans of a novel influenza virus derived from an animal source that can lead to a pandemic, it is also crucial not to neglect the importance of seasonal influenza virus infections that lead to more than 200,000 hospitalizations and more than 36,000 deaths each year in the United States alone. Influenza virus detections among ILI and severe acute respiratory infection (SARI) patients at sentinel sites have declined since mid-August 2010. The device, known as the Human Influenza Virus Real-Time RT-PCR Detection and Characterization Panel (rRT-PCR Flu Panel), was developed by the Centers for Disease Control and Prevention. An unknown pathogen isolated from infected pigs at two midwestern swine production facilities in 2006 has proved to be a new strain of H2 influenza virus, similar to the one that caused the 1957 flu pandemic. type to use for this years vaccine (for the winter season)," reports virologist Alan Cann, whose lecture notes on the influenza virus have been posted online by Tulane University.